Samsung is taking preorders on an updated version of its Ativ Book 9 Plus Ultrabook, which features a Core i7 processor and a touchscreen display with a native resolution of 3200 by 1800 pixels. The company expects to ship the new notebook in early November. The new Ativ Book 9 Plus looks a lot like the old Ativ Book 9 Plus, but a Core i7 processor and twice as much memory and storage lie under the hood. This announcement is likely to put further pressure on Toshiba to reduce the price of its own luxury Ultrabook, the Kirabook. When it shipped last May, the $2000 Kirabook was in a world of its own, providing a 13.3-inch touchscreen display with a resolution of 2560 by 1440 pixels. 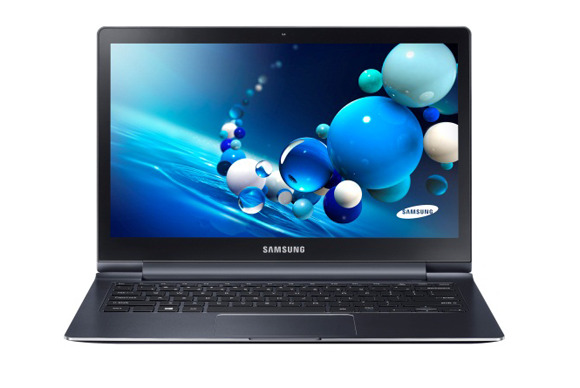 Samsung’s model delivers much higher resolution and a fourth-generation Core processor (code-named Haswell). Samsung, on the other hand, hasn’t announced any plans to match the lavish tech-support and customer-service offerings Toshiba gives to Kirabook buyers. 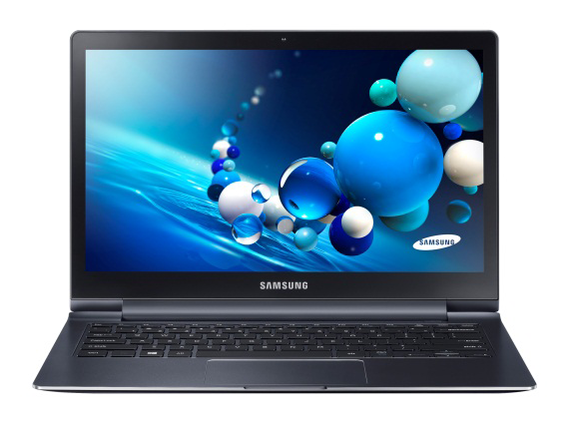 The new Ativ Book 9 Plus will be powered by an Intel Core i7-4500U processor and 8GB of DDR3/1600 memory. Storage will be in the form of a 256GB solid-state drive. The existing Ativ Book 9 Plus, which Samsung announced in June, is outfitted with an Intel Core i5-4200U and has half as much memory and storage. But the new model will also command a higher price tag: $1799, versus $1399 for the current machine. The rest of the new laptop’s specifications are very similar to those of the earlier model, including its 0.54-inch thickness and 3.06-pound weight. The new Plus will have an 802.11 a/b/g/n Wi-Fi adapter, gigabit wired ethernet (using a dongle), Micro HDMI-out, two USB 3.0 ports, an integrated 720p webcam, and a multiformat memory card reader. Samsung says the new Ultrabook’s fully charged battery will deliver up to 7.5 hours of productivity.